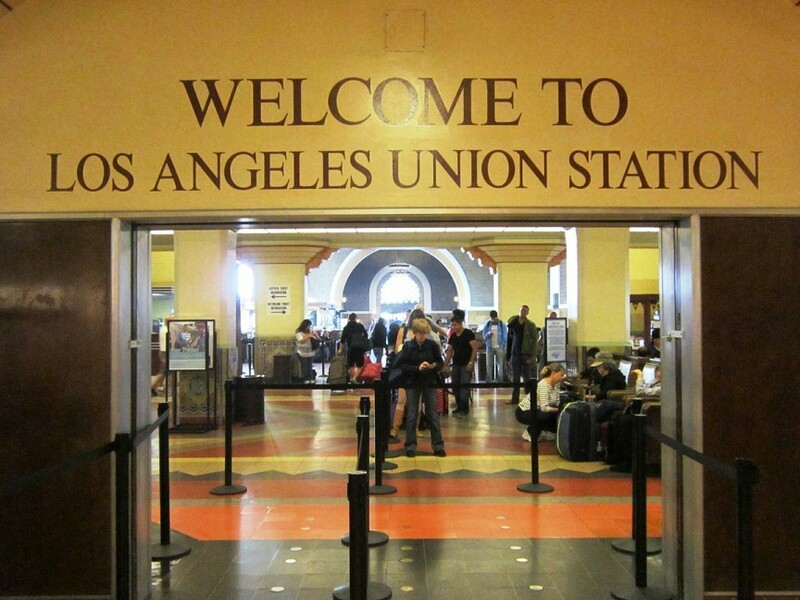 As part of my recent trip to Los Angeles riding public transportation, I am doing a special post on LA Union Station in Downtown Los Angeles. 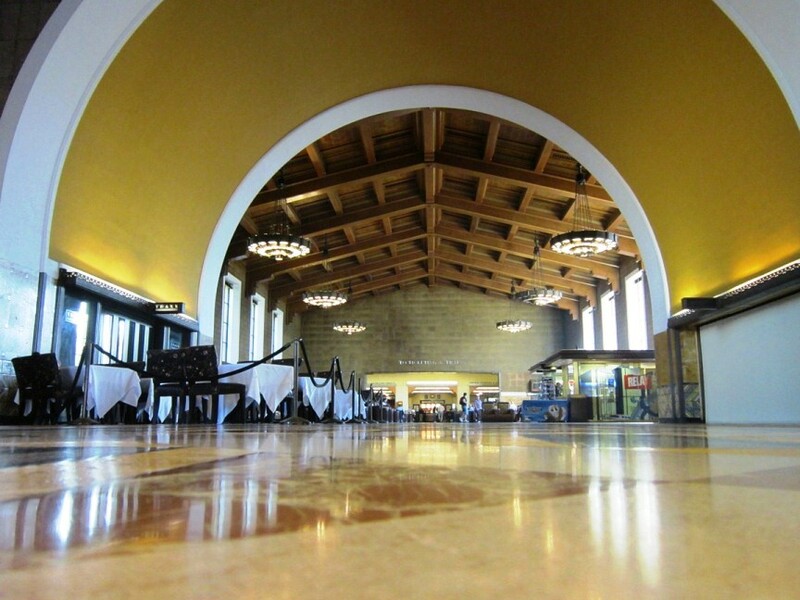 Union station is a really cool place to visit in and of itself, whether ridding in via train, bus, car or by foot. 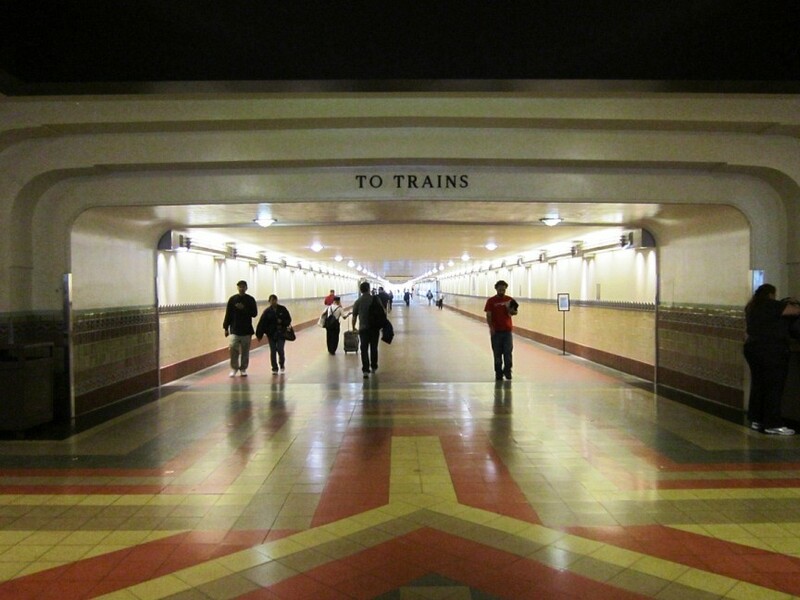 The station has a unique history that harkens to an era of LA that is all but lost. Here is a little history on Union Station. 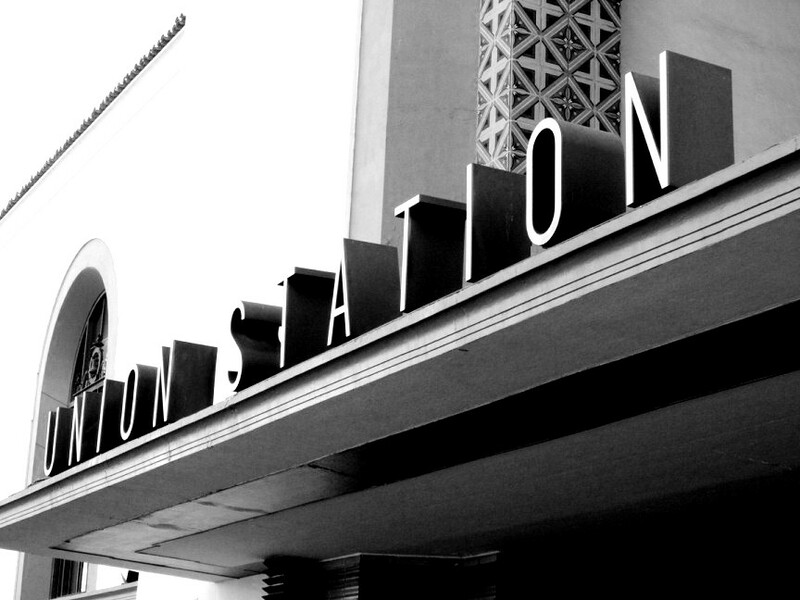 The station opened in May 1939, one of a number of union stations in the United States. 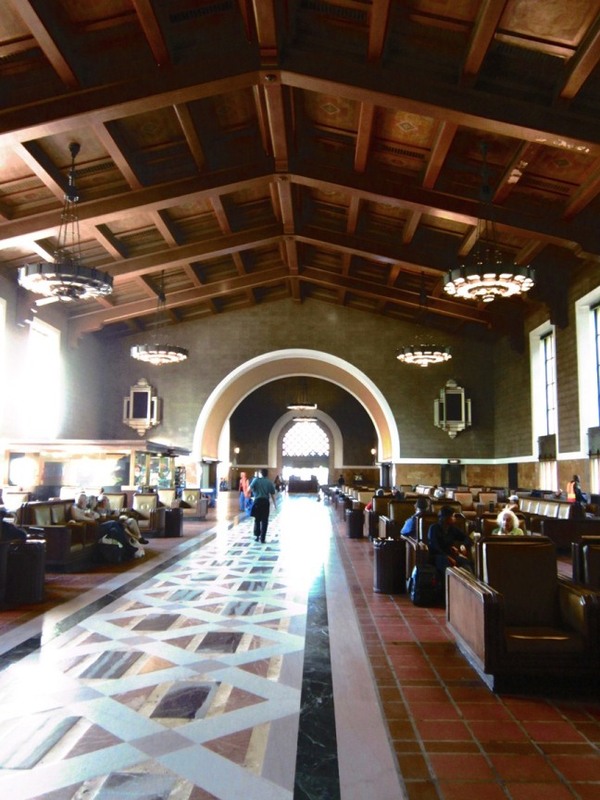 It was built on a grand scale and became known as Last of the Great Railway Stations built in the USA. It was placed on the National Register of Historic Places in 1980. 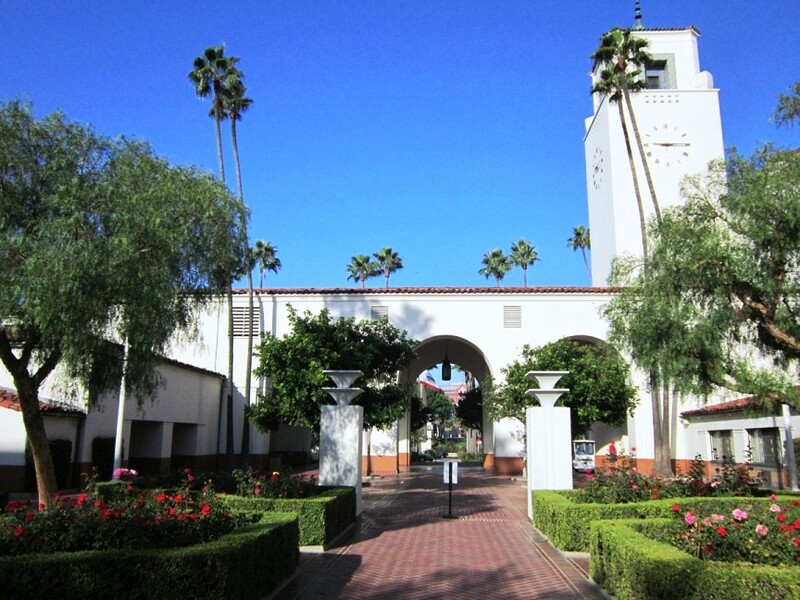 Since February 2011 it is in the ownership of the Los Angeles County Metropolitan Transportation Authority.Union Station was partially designed by John Parkinson and Donald B. Parkinson who had also designed Los Angeles City Hall and other landmark Los Angeles buildings. 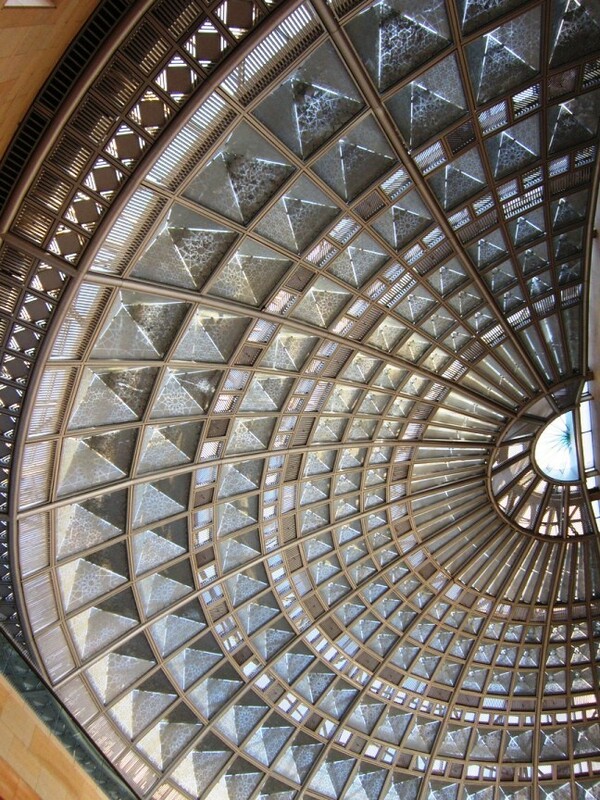 They were assisted by a group of supporting architects, including Jan van der Linden. 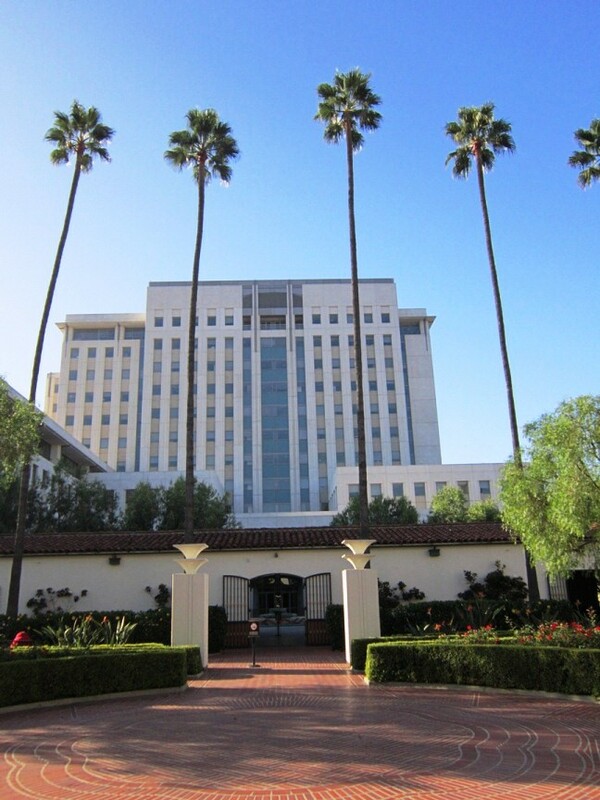 The structure combines Dutch Colonial Revival architecture, Mission Revival, and Streamline Moderne styles. One of the ways in which Union Station is so unique is its Art Deco style front entrance and it’s train platform and subway interior. It also has a newer, more modern back side which services the bus stops as well. Three very different styles and functions are blended into one which makes for a very interesting experience. I found myself spending a lot of time wandering around and taken in the sites, which is unique for most train stations as you often simply want to keep moving. Two areas really stood out to me on my visit, the first was main buildings interior which was part of the original construction. Wood panel high ceilings, marble floors and art deco styling almost transports you to another time. The other is the outside and surrounding areas, palm trees backed by gardens and fountains, you might even forget that you are in Downtown LA. Along with these areas there are garden patios on either side of the waiting room and even a restaurant on one of the sides. According to many online sources, parts of the movie Blade Runner were even filmed in these waiting areas, which were made to seems like a police department from 2019. 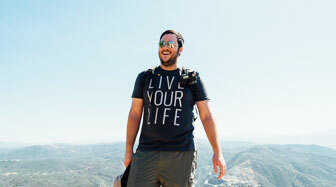 So you can see this place has a lot of versatility and style. If you have never been to Union Station I would recommend you make the trip. There is so much history and beauty in this area that I am surprised more people from LA do not take the time to come and enjoy it. I would love to hear your views on this area, so make sure to leave them in the comments. 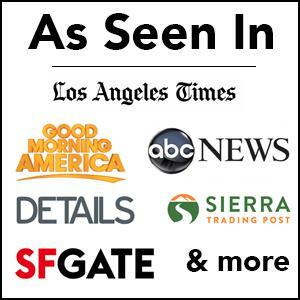 Also, be sure to check out my definitive guide on riding the Metrolink around LA as well.